Doral's Cachet 250 EX is a stylish and surprisingly roomy entry cruiser with close to 6' headroom in the cabin, a full galley and a stand-up head. With single I/O power, she's economical to cruise and has a pretty good top end when needed. The full canvas system and convertible aft bench allow the cockpit to be used as a sleeping area or just a relaxing space for an evening on the hook with a glass of wine. Overall, a great day boat with all the amenities needed for more extended cruising when the urge strikes. 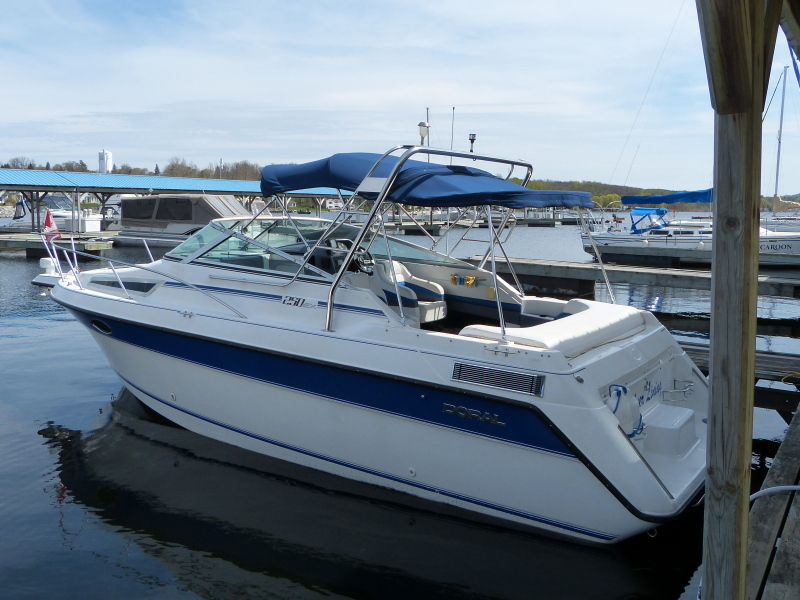 This Cachet 250 comes fully equipped and ready to cruise. You won't find more boat for the money, and topping it off, a trailer is included! 2014 survey is available.